Best Buy offers the iRobot Roomba 890 Robot Vacuum with Wi-Fi Connectivity for $299.99. 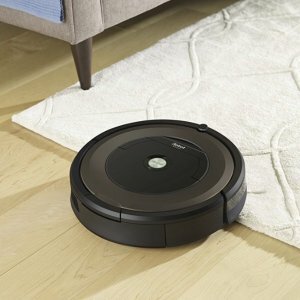 Features: The Roomba 890 Vacuuming Robot loosens, lifts, and suctions dirt with up to 5x more air power. Ideal for homes with pets, the Roomba 890 features tangle-free brushes and a high-efficiency filter. Just press clean or schedule Roomba on the go with the iRobot Home App.